Trying to decide between getting a cat or a dog? Or do you already have one and want to introduce the other into the mix? We can help, here you'll find a collection of funny things about cats vs dogs and dogs vs cats… You'll learn the pros and cons of both species and the best ways to cohabitate if you have both! Did You Know You Can ‘Spin’ Your Dog’s Fur Into Something Meaningful? With as little as 1 ounce of your dog’s fur — acquired when brushing your pet — Furever Creations will spin that fur into a personalized item of your choosing. What better way to memorialize your beloved dog? 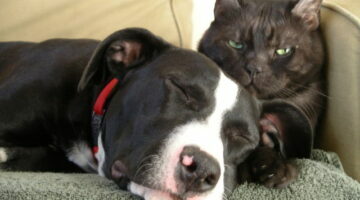 The FDA provides a number of helpful resources for pet owners. 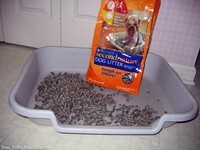 The most important one is the FDA’s Pet Food Recall List. 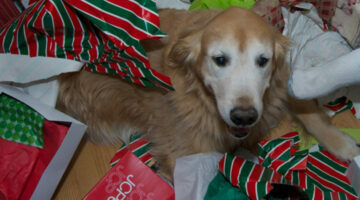 You’ll want to check that list for all the latest recalls on dog food and dog treats. Or better yet, sign up for the FDA’s recalls e-list, so you’ll always be the FIRST to know whenever a product is added to the list. 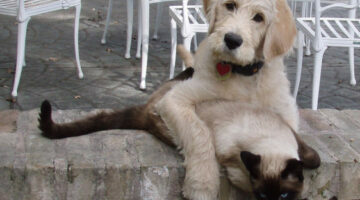 This ‘You Are So Beautiful’ video features a cat and a dog making friends… sort of. Tristan is the proud new owner of a 6-month-old Jack Russell Terrier! Do you have an animal license plate? 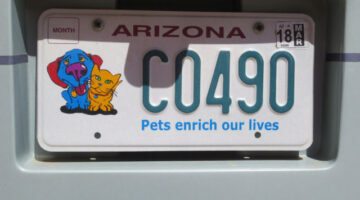 If you love animals — especially dogs and cats — then you might be interested in getting a pet-friendly license plate for your car. Here are the states where you can get pet license tags. A collection of funny things about cats vs dogs and dogs vs cats… From friendly debate about which pet is best to dog humor, cat humor, and other fun stuff about pets.